For Italian wine lovers looking for a wonderful full day wine tasting experience as an excursion from Palermo, we have designed this VIP private chauffeured tour to include two of Sicily’s finest estates in Marsala, and a visit to the spectacular Greek Temple of Segesta. Marsala, located in western Sicily facing the Egadi Islands, is Sicily’s largest wine producing center (using the native Grillo and Catarratto grapes) and probably the region with the most interesting history. British Admiral Nelson discovered the wines of Marsala when passing through its port in the year 1800 and became so enamored of them he ordered 500 barrels to take along with him to his fleet awaiting him in Malta. Along with wines such as Port, Sherry, and Madeira, Marsala soon found its place in the British market and by the early 1800s, there was even a regular ship sailing between Marsala in far-flung Sicily and Liverpool! 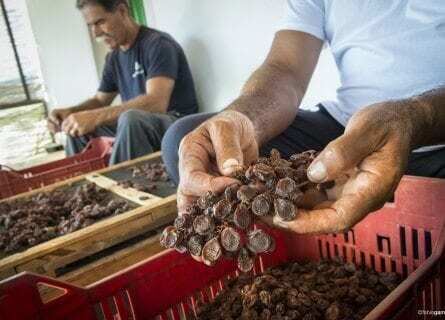 Marsala suffered (along with other wines like Sherry and Port) when the market’s taste changed and favored dry wines, and many Marsala producers lowered the image of the brand by making flavored wines used mainly for cooking. Luckily certain producers continued to make ever-finer wines and managed to once again make the Marsala name famous. Wineries such as Florio are simply a “must do” while in Sicily, with a fascinating history and top class wines. The beautiful cellar dates back to 1832. The estate is huge, housing long cellars with over 100 arches, and a collection of over 40,000 historic Florio wine bottles. Many famous and infamous visitors have come to taste wines here from King Vittore Emanuele to Mussolini. Donnafugata is another producer we adore with a historic cellar (called “Baglio” in Sicily) in Marsala. You will taste six of their superb wines from their wide range of Sicilian wines including the stunning Ben Ryé from Pantelleria. Before returning to your hotel or cruise in Palermo, you will stop in Segesta for a visit to the magnificent Greek temple. This majestic Doric temple dates back to the 5th century BC and is set right in a peaceful meadow. The setting is extremely atmospheric, don’t forget the camera! You will arrive back in Palermo in the early evening, and this concludes a marvelous Sicilian wine tasting excursion. If you are looking for a VIP private wine tasting tour from Palermo, this tour is perfect for you. 9 a.m. From your hotel or cruise in Palermo, your friendly private driver guide and Mercedes will pick you up and you will head to wine country! 11 a.m. Arrive at the first top cellar of the day such as Donnafugata, where you will receive a private tour of the estate and impressive “Barricaia” (barrel cellar). In your own private area, you will enjoy a fantastic tasting of some of the estate’s finest wines such as the zippy Chiarandà (comprised of a blend of native Ansonica and Chardonnay grapes), the rich Nero d´Avola based Sedàra and the one-and-only Ben Ryé (one of the world’s best dessert wines), a Passito from windswept Pantelleria Island. 12:30 p.m. Carry on to a second estate in Marsala such as the fantastic Florio property where Marcello will entertain and educate you on the million and one novelties and anecdotes related to the winery, the region and even on Sicily. You will tour the expansive caves and then enjoy an elegant private tasting of the best wines such as Baglio Florio (Virgin Marsala DOC, elegant and refined wine), Passito di Pantelleria (DOC dessert wine made with Zibbibo grapes, reminiscent of apricots), and their excellent Malvasia Delle Lipari DOC (wonderful rare wine made in the volcanic Aeolian islands). Lunch will be a traditional Sicilian affair right at the Florio winery! On the way back to Palermo, stop in Segesta to see the magnificent Greek Temple, enjoy some free time on your own here. Arrive in Palermo in the evening.